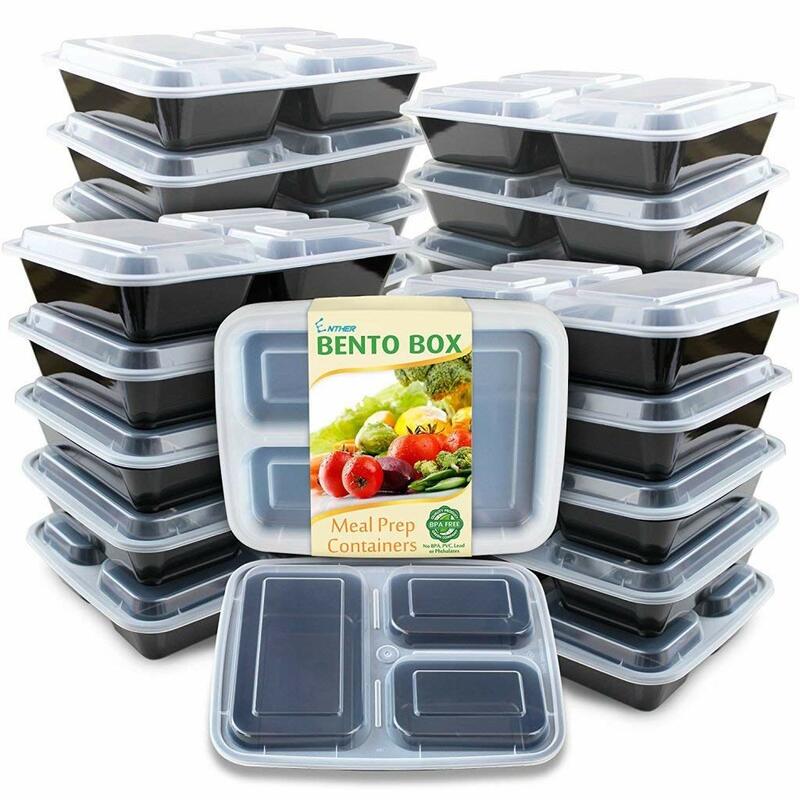 *******HOT HOT HOT >>> Prime Pantry Stacking Deals & Savings! Instant Pot 8-Quart ULTRA – $119.99!!! Grab the 8 Quart now! I have and use this one several times a week! Learn more and ORDER TODAY to get $80 off this air fryer! Save 25% on Instant Pot Accessories too! I have several pieces of Calphalon cookware and highly recommend it! If I had to pick from this bunch, it would be the first or second – 12″inch skillet with lid or the 3-piece set. We make a.l.o.t. of skillet meals and the 12″ size with lid is perfect for our family of 6. If you have a smaller family or are cooking for 1 or 2 people, then I’d go with the 8″ nonstick, 3-piece set! You can browse and order here! I’ve seen a few of these and they are on lightning deal on Tuesday morning! And I imagine there will be more later in the day! 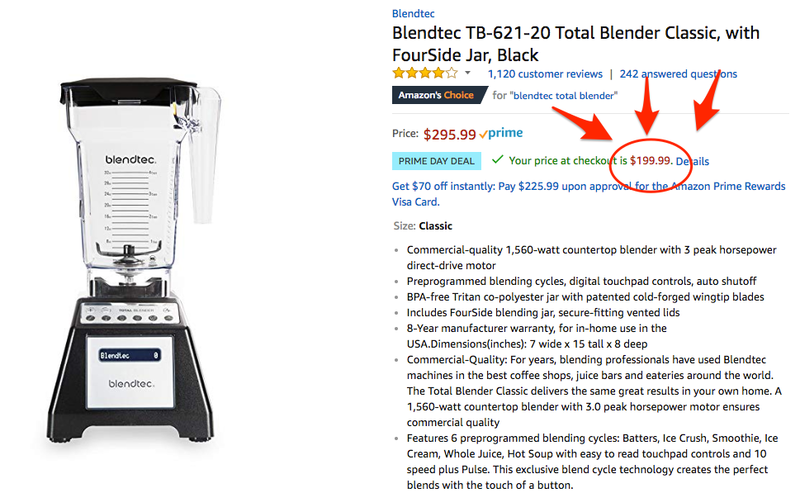 Blendtec Blender – $199 at checkout! Use coupon code PRIMEBOOKS18 at checkout to save $5 on any $20 order of printed books – including our new MyFreezEasy cookbooks! Also, check out Erin’s $5 Dinner Mom cookbook series too! Mini Food Processor – save up to 57%! Use more of these…and fewer paper towels and you’ll save TONS over time on your grocery bill! Get 15-pack for $10.79. Order now! Audible – $4.95/month for 3 Months! I <3 <3 <3 listening to books and stories, and Audible is a great resource and program if you need more listen in your life! I listen when driving, in the morning, in the evening and sometimes at the office. Lately, I’ve been listening to books and stories to replace that ‘mindless scrolling’ that we can easily fall into. Also, my oldest son prefers to listen to books – so we get his school books on audio via Audible and he does so much better with reading comprehension and on assessments having listened to the story! The Audible Prime Day deal is too good to pass up too! Get 3 months for $4.95/month! Membership renews at full monthly rate of $14.95/month after first 3 months. Cancel online anytime. Load Up a Prime Pantry Box and Save BIG!!! 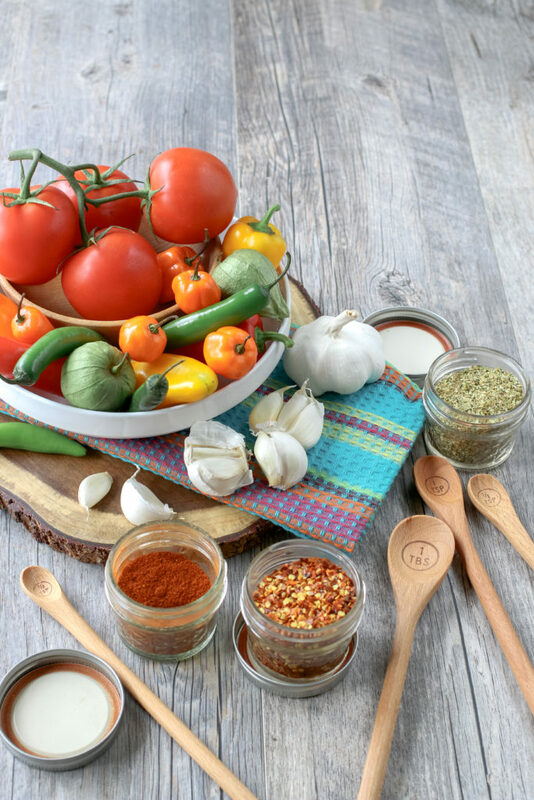 Take a few minutes and load up a Prime Pantry Box…so so so many deals and savings on the food and ingredients available in Prime Pantry….start building your box here! This deal is already live! The next 2 days will be packed with amazing deals for Amazon’s Prime members. Like, ridiculously amazing deals! This is basically Christmas in July for Amazon’s Prime members! But, in order to take advantage of all these great deals and savings and offers and credits, you MUST BE an Amazon Prime Member. Try Amazon Prime free for 30 days!!! Where are the Other Prime Day Deals?? I’m so glad you asked…there’s a lot to fish through and it’s best to go into it looking for a “big ticket” item that you might need and hope it’s got a great price sometime between Monday and Wednesday. We will be sharing all the great food, kitchen utensil and appliance deals on the $5 Dinners Facebook page. Start Your Prime Day Shopping HERE! Disclosure: this post contains Amazon affiliate links. Thanks for supporting $5 Dinners.